I think back on my own life and I think, Why did I waste it? I wasted it. And all kinds of wonderful things, believe me- pastoral ministries, theological enterprises, liturgical services, etc., etc., etc. The more occupied we are with the things of God, the more likely we priests are to forget what God is all about- and the more complacent we're likely to become. That's the story of Jesus. Who got rid of Jesus? The priests- who else? The religious people. That's the terror of the Gospel, see? 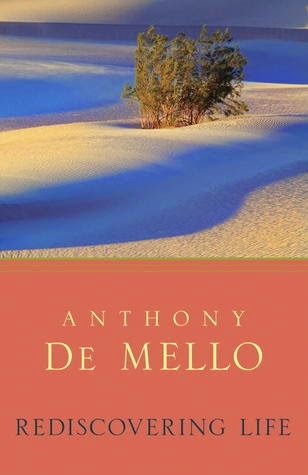 Anthony De Mello, Rediscovering Life. Holy Thursday: when we betrayed him, Jesus offered covenant love. Jesus' own disciples were not there for him. The clergy leadership manuals often assert that Jesus CEO did a great job in cultivating his inner circle. Really? Much of the suffering of Jesus in the days and hours leading up to his execution has to be the scattering of his closest friends that Mark describes so well. The terror is we are no great improvement on the people who put Jesus to death, and we are infinitely closer to everyone we meet in the gospels than we are like the Lord. Still, we can also learn something life-giving about ourselves and about God. We can learn that our love has a long way to go beyond just doing good to those who do good to us. We can realize that what passes for love is often more about control and payback. We can discover that in the worst betrayals of our best self, God is the only One who will never forsake us.